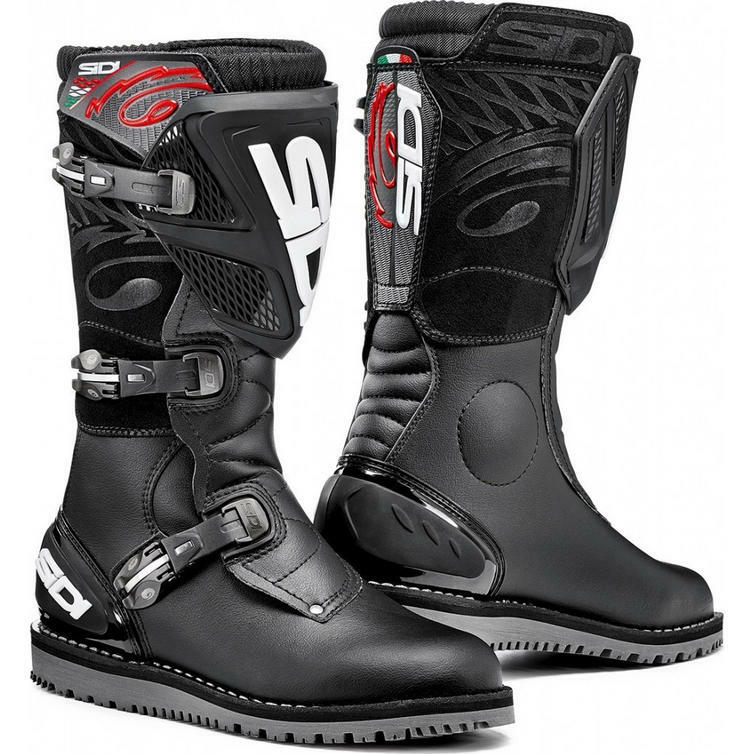 The Sidi Trial Zero.1 Motorcycle Boots are part of the latest Sidi collection. 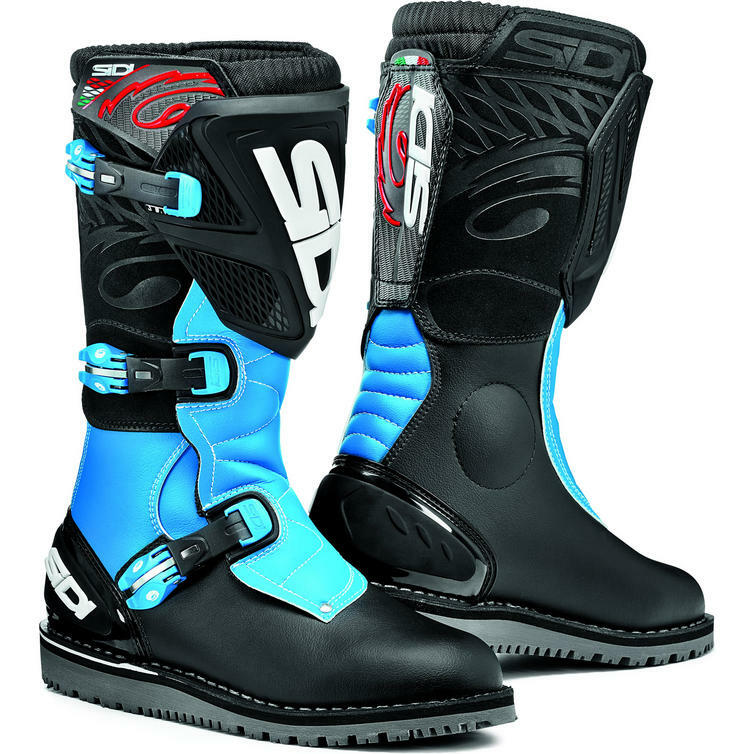 The Sidi Trial Zero.1 Boots are the next iteration of the well-received Trial Zero Boots. They come lined with Cambrelle and air Teflon mesh for improved safety and comfort. The upper is made of lightweight microfibre with integrated suede heat shield on the calf area. 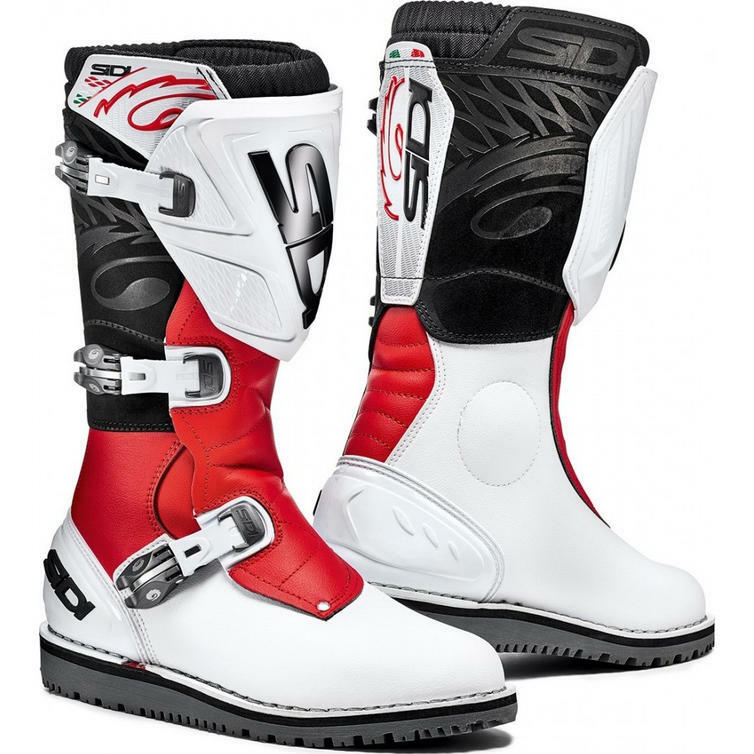 These purpose-designed motorbike boots offer great protection thanks to a fixed shin plate and a non-deformable rigid heel. The rubber sole is specifically designed for maximum grip, which is essential if you are competing in trials competitions. Another cool feature is the removable arch support. Fastening is through three memory-regulation straps that allow you to customize the fit to your liking. The Zero.1 boots bear the "CE" marking, meaning that they meet the basic health and safety requirements of European Directive 89/686/EEC. View all Sidi Trials Boots. 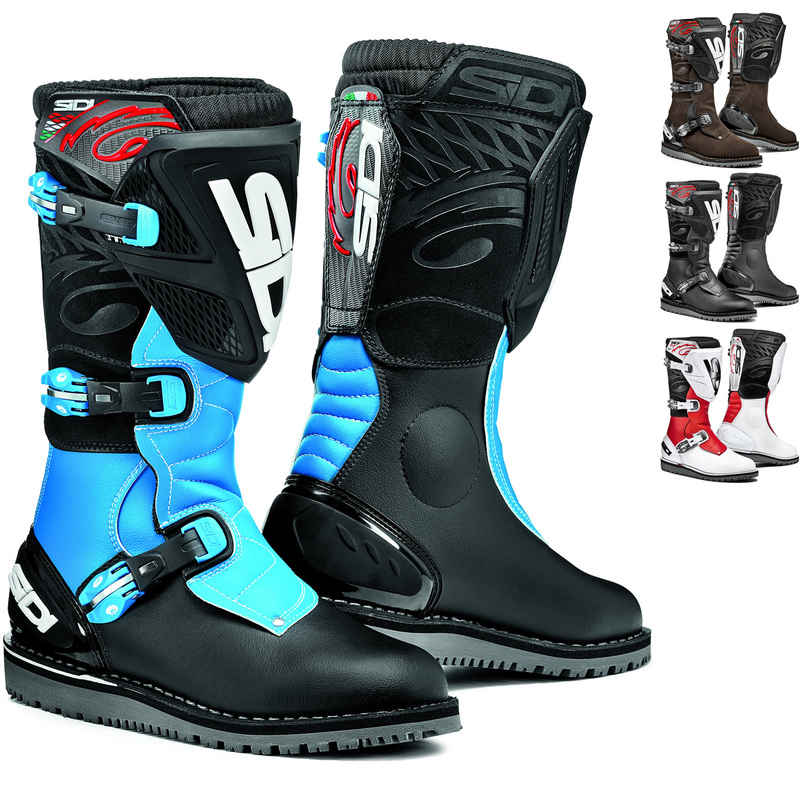 View all Trials Boots. 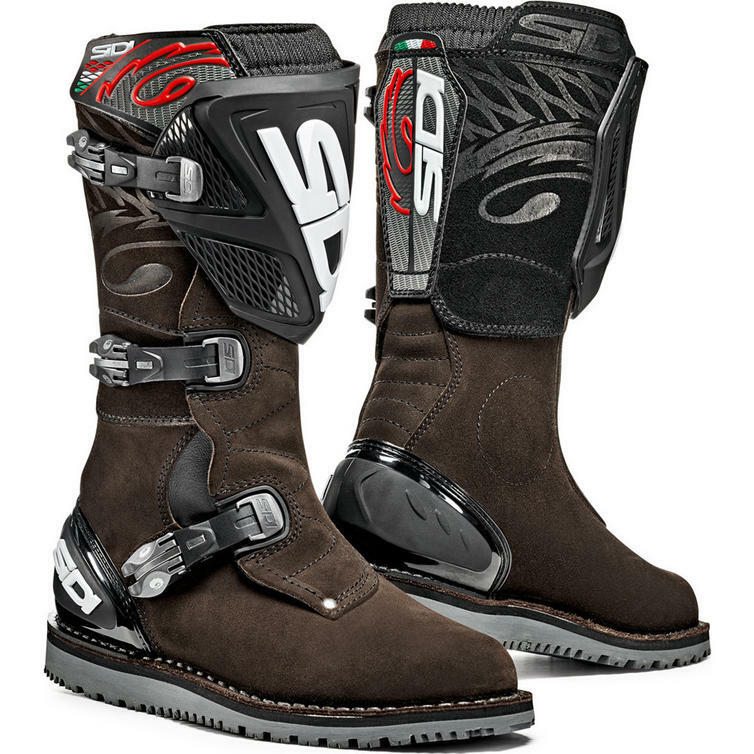 Technomicro microfibre and Suede upper - When constructing most of Sidi boots, Sidi uses a new generation material called "Technomicro". Technomicro is a composite microfibre material created from strands that are so fine, each one is less than one thousand the thickness of silk. These fibers act like natural leather skin, but with the advantage of better strength, softer texture and lighter weight. Technomicro is also water resistant, highly resistant to abrasion and tearing and is easy to clean and maintain. Technomicro doesn't stain and offers reduced weight, more flexibility and a better feel than leather or other synthetic material boots.